The primary goal of Academic Services is to support, encourage and challenge our students in their efforts to learn and be successful at Lycoming College and beyond. Our programs and services are designed for all Lycoming students and are offered at no additional charge. This includes ARC 100 (a zero-credit study skills workshop that meets for seven weeks each semester), the Academic Resource Center, the Writing Center, the Math Center, subject tutoring program, study group program, services for students with disabilities, services for international students, group and one-on-one meetings with students, and a program for students on academic probation. The Streeter Campus Store is located on the second floor in the Wertz Student Center. 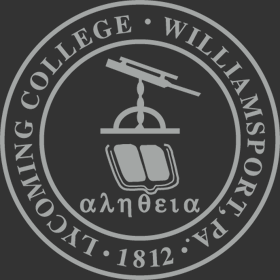 In addition to Lycoming College clothing and novelty items, students may also purchase school and course related supplies, Warrior Coffee and Sport Specific items. Students may use the following forms of payment when making purchases: cash, check, MasterCard, Discover, Visa and student IDs, Receipts are required for all returns. During the school year, normal business hours are Monday - Friday, 9:00 a.m. to 5:00 p.m.; Saturday 11:00 a.m. to 2:00 p.m. Throughout the year, there may be additional times that the Campus Store will be open. In advance, we will publish these hours. Closed on Saturdays during the summer months. Textbooks and/or related course materials may be purchased at http://bookstore.mbsdirect.net/lycoming.htm. To support the educational mission of the college, Lycoming has networked the entire campus. High-speed networking is in place between all buildings on campus to support wired and wireless connectivity. Approximately 750 technology devices are deployed to support students, faculty, staff, classrooms, and computer labs. A mix of high-end Windows and Apple/Mac computers are located in labs in the Academic Center (B200, B201, C203, A3 and A5). The Lynn Science Building has a 32 seat Windows based computer lab. A Digital Media lab is located in the Communications Building and has high-end Apple/Mac computers, primarily running video editing software. More information on software in the labs is available under “Computer Labs” on the ITS home page. The A3, A5, B200, B201, and Lynn G-57 computer labs are open 24 hours a day 7 days a week during the Academic Year using your Lycoming ID for access. Hours may vary during the summer, semester breaks, and holidays. Classes are scheduled in the labs during the semester. Schedules are posted online, at each lab location, and at the ITS main office located in the lower level of the Academic Center. If in doubt, call the ITS main support number at 570-321-4150. PC compatible labs are using the Windows operating system. Students are urged to save to their network accounts where nightly backups are performed, USB memory drive, or Office 365 OneDrive account (portal.office.com). Several major software packages are available for student use including the campus standard Microsoft Office (Word, Excel, Access, and PowerPoint), SPSS, Mathematica, ESRI GIS software, the Adobe Cloud Suite and a variety of others. Black and white and color printing, scanning, and copying are available from all labs through a credit of $30 per semester (~450 sheets of paper). Information Technology Services provides student consultants for over 100 hours each week at the IT Help location on the second floor of the Academic Center. The ITS second floor help can be reached at #4388. The ITS main Help can be reached at #4150 during normal business hours (8:00 – 4:30 M-F). Access to Internet resources is available to all students at Lycoming from the labs and from their rooms in the residence halls which includes wired and wireless access. Prior to Freshman Orientation, students are given a username and password that provides access to email, the myLyco portal, Office 365, and WebAdvisor. Moodle is the official course management program that is also used as an eReserve system in cooperation with the Snowden Library. All wired and wireless connections on campus require a user's device to be registered on our security system and have current updates for Windows and Apple. More information on registering a device or security recommendations for that device can be found at https://www.lycoming.edu/its/information-commons/connect-personal-computer.aspx. Information regarding students' rights and responsibilities as financial aid recipients. Assistance with completing the FAFSA (Free Application for Federal Student Aid). In addition to taking advantage of these services, students are encouraged to contact the office if any unforeseen financial difficulties arise during the course of the academic year. Jack's Corner provides a location for students, faculty, staff, and guests to relax and have some fun. The facility is equipped with a pool table, a stereo system, high definition TV, DVD player, on-campus telephone, and computer email/web access as well as the campus snack bar. Open seven days a week from 7:30 p.m. to 12:30 a.m., Jack's offers a variety of snack items including smoothies, milkshakes, a full service grill, pizza, strombolis, quesadillas and nachos, “on the go” premade salads and sandwiches, convenience items and beverages. Students can use their dining plan flex dollars, cash, cash equivalency, MasterCard or Visa to purchase items from Jack's. Dining plans are not just for resident students, there is also a commuter dining plan option. Information regarding dining plans is available at the Business Office on the first floor of Long Hall. Café 1812 features locally roasted coffees from Alabaster Coffee. Café 1812 is much more than coffee. There are smoothies, milkshakes, sandwiches and salads made to order. The hours of operation are Monday through Friday 7:00 AM to 3:30 PM. Students can use dining plan flex dollars, cash, cash equivalency, MasterCard and Visa. Dining plans are not just for resident students, there is also a commuter dining plan option. Information regarding dining plans is available at the Business Office on the first floor of Long Hall. Lycoming's "quad" is the most popular area for outdoor activities. You are also encouraged to use the Intramural Field off of Mulberry Street, and the Keiper Recreation Center. The Shangraw Athletic Complex has Varsity Athletic fields used for Varsity sports. Brandon Park (just north of campus) has tennis courts for recreational use. The Keiper Recreation Center provides for students, faculty and staff to enjoy recreational sports opportunities. The 54,000 square foot Keiper Recreation Center, built in 2004, houses a suspended indoor track overlooking 4 multipurpose courts for basketball, volleyball, tennis and other activities. The Rec Center also includes a weight room and fitness center, both with state of the art equipment, as well as locker rooms and sauna. The swimming pool is accessible at different times throughout the academic year for open swim. The Rec Center also has a Bike Checkout program where bikes can be checked out at the Front Desk and used on the bike paths of Williamsport or even to run errands. There’s something for everyone! Lamade Gym contains three basketball courts and seating for 2,300. A swimming pool and gallery that seats 210, a Varsity Athletic Training Room, a "multipurpose" room and sauna are all housed in Lamade Gymnasium (which is part of the Keiper Recreation Center). Lamade Gym is also the site of the athletic department offices, physical education coordinator’s office and the Director of Recreation and Intramural’s office. Remember that your current college ID is needed to borrow library materials and to use reserve items. The Wertz Student Center is the activity center on campus. It is designed to serve the needs of the students, faculty, and staff as a social, recreational, and cultural center. All groups on campus, including summer conference groups, are considered to be a part of the College and are welcome to use the building and all of its facilities while they are guests. The facilities and College-owned equipment in the Wertz Student Center are provided at no cost to the student. The proper care of the building, furnishings, and equipment are the responsibility of all who use them. The public rooms in the Wertz Student Center may not be reserved for the exclusive use of groups in which attendance is limited to their membership. Any exception to this general rule must be approved by the Director of Student Involvement or the President of the College.